There can come times that no matter how hard you’re working out and how clean you’re eating, certain health goals just aren’t happening. You’re not losing fat, your muscles aren’t getting bigger, something just isn’t working. It could be time for a new routine, a slight tweak in diet, or it could be about stress. 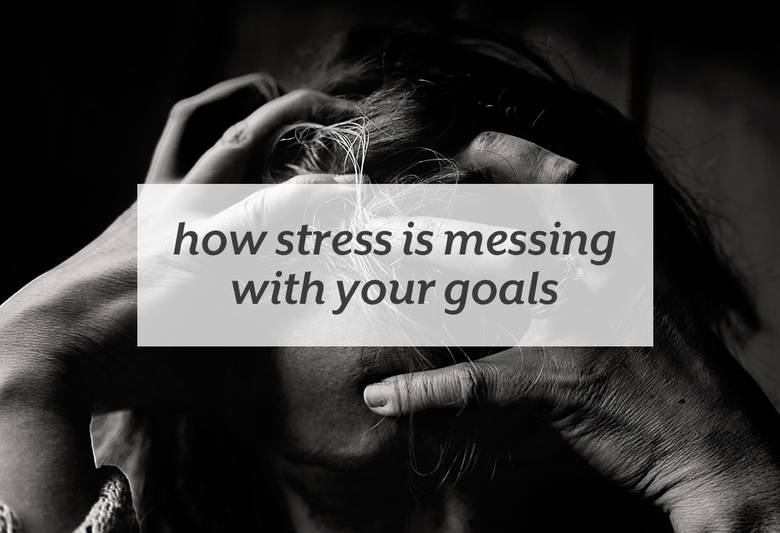 Stress can mess with health and fitness goals, not to mention your health in general. Chemically, stress shows up in your body as cortisol. Cortisol comes from your adrenal glands and is secreted when your body is under stress as a way to prime your body to respond to danger. This response is really helpful when you do need to run for your life or are put in a survival situation. Your body responds the same way to all stressors, whether you’re in a life threatening situation or not. So if you’re constantly stressed from work, relationships, and the struggles from everyday life, your adrenals are constantly pumping out cortisol. Learn more about how your body responds to stress and how to deal with it at Azumio’s blog.